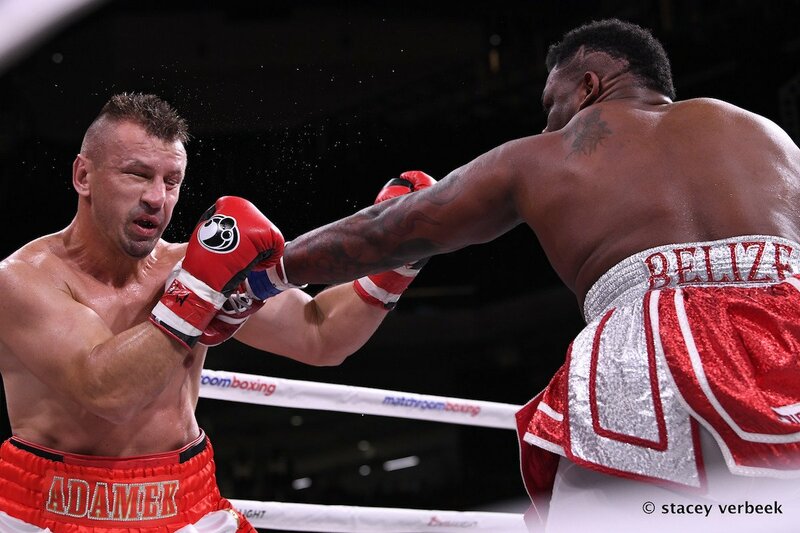 Let’s face it, after his easy, easy night’s work against the woefully over-matched (and out-weighed) Tomasz Adamek in his last fight on October6, Jarrell Miller could box again this Saturday. Well, a quick return is reportedly in the works for “Big Baby,” if not one that is not quite that quick. According to his co-promoter Dmitry Salita, who spoke with Sky Sports, Miller is almost certain to fight for a version of the WBA heavyweight belt next – before the end of the year (the word according to a few other web sites is November 17, but nothing is yet official). Miller, 22-0-1(19) is looking to fight either Fres Oquendo or the unbeaten Trevor Bryan (who stopped B.J Flores to pick up a secondary or ‘thirdary’ version of the WBA strap a couple of months back) and then, this belt (for what it’s worth) acquired, move on to a massive fight with full champ Anthony Joshua. Miller’s name has been mentioned alongside AJ’s for some time now, and if it’s not Deontay Wilder or Dillian Whyte next for the unbeaten British superstar, it could be Miller. Miller is certain his shot at Joshua will come in time, even if it’s not next April. Miller would be a whopping favourite over either the creakingly inactive Oquendo, who is now 45 years old and has not fought in around four years, or over the still largely untested Bryan. In terms of the most interesting, possibly exciting fight of the two, it would probably be better if Miller fought Bryan. It is now up to the WBA to decide what will happen with that vacant “regular” belt – the one that was stripped from Manuel Charr due to his failed drugs test. Another good question regarding Miller is what weight might he come in at for his next fight? Growing and growing it seems, Miller has, in a relatively short period of time, gone from 298, to 304, to the monstrous 317 he tipped-in at for the Adamek slaughter. Might “Bib Baby” scale even higher than 317 next time out?